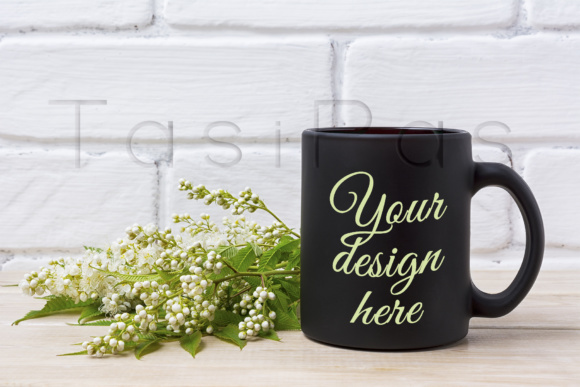 Black coffee mug mockup with white spiraea flowers. Black coffee mug mockup with Spiraea alba white Meadowsweet flowers. Empty mug mock up for brand promotion.